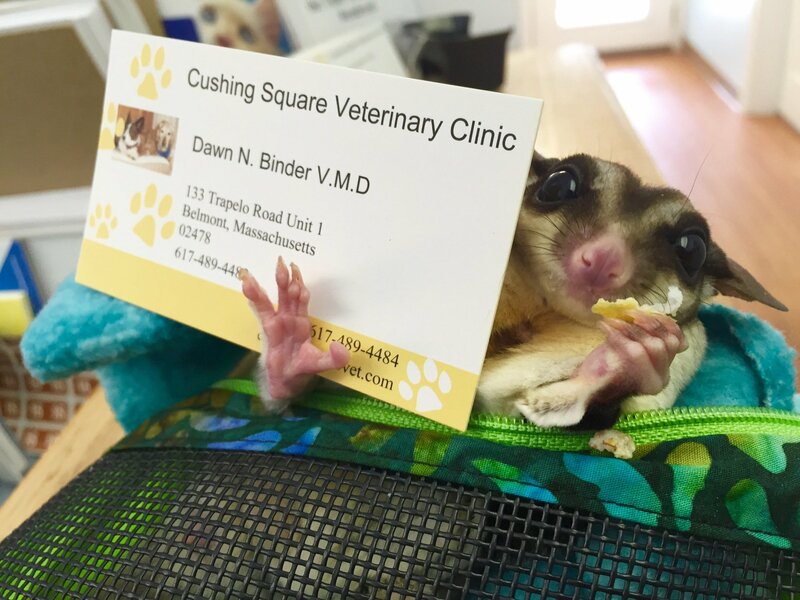 Cushing Square Veterinary Clinic was founded by our dearest friend Dr Mohammed Emara over 35 years ago as a small community animal hospital providing personalized loving care to the pets of Belmont , Watertown , Waltham, Lexington and Cambridge. Dr Dawn Binder was one of his first clients! They have remained friends all these years. Dawn bought the clinic in September of 2013 when Dr Emara retired. 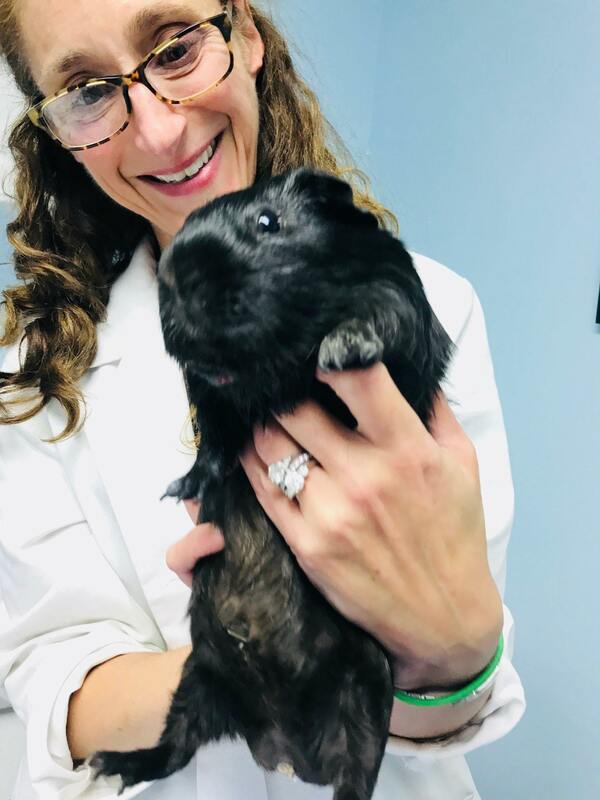 She brought with her a passion for all living creatures and for forming a lasting bond with her patients and their families. In March of 2017 Dawn hired her friend , Dr Maryellen Starble. 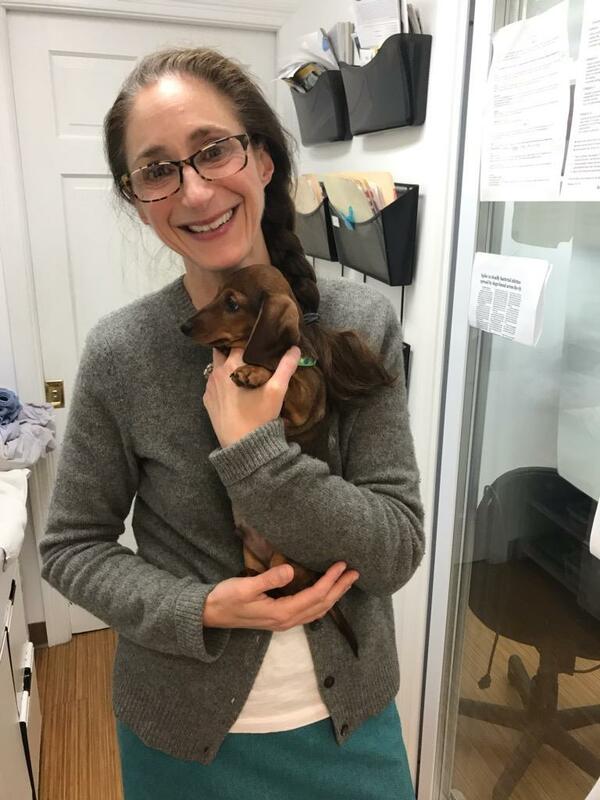 Maryellen and Dawn have been friends for over 20 years and work really well together as a team to provide the very best care possible for your furry loved ones. It is CSV's goal to devise a highly personalized dynamic treatment and wellness plan for each of our patients. We aim to find the perfect balance for both our patients' health and their families' needs. We are conveniently located in Cushing Square and have parking in the rear. Pet Emergency? Call us right away at (617)-489-4482! Cushing Square Veterinary Clinic is located in Belmont, MA and is a full-service animal hospital serving the Metro west area of Boston (Cambridge, Watertown, Belmont, Arlington, Waltham and surrounding communities). 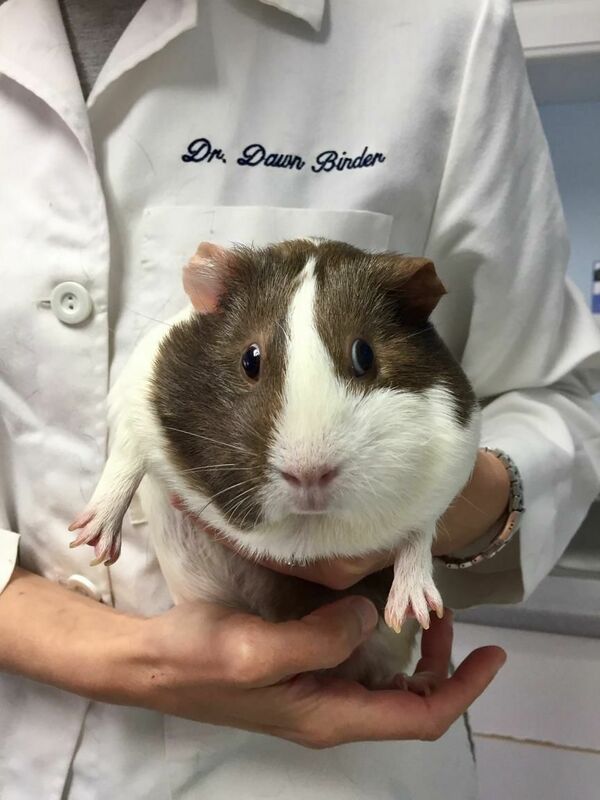 Our practice provides high quality veterinary care for small animals. We care for primarily cats and dogs and some pocket pets. Our staff is dedicated to providing comprehensive medical, surgical and dental care for our patients. It is our goal to devise a personalized dynamic treatment plan for each of our patients. We aim to find the perfect balance for both our patient's health and their owner's needs. If you live in Belmont or the surrounding area and need a trusted veterinarian to care for your pets – look no further. Dr. 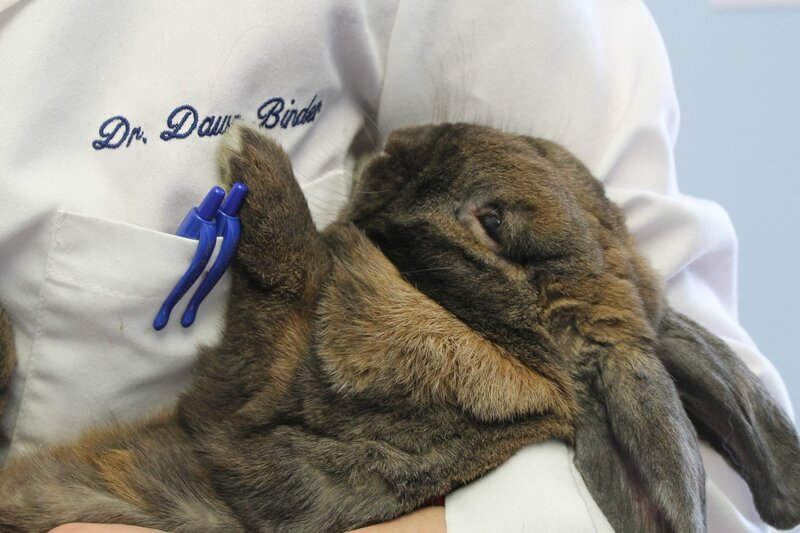 Dawn Binder and Dr. Mary Ellen Starble are licensed MA veterinarians, treating all types of pets. Your pets’ health and wellbeing are very important to us, and we take every possible measure to give your animals the care they deserve. Cushing Square Veterinary Clinic is a full-service animal hospital and welcomes both emergency treatment cases as well as pet patients in need of routine medical, surgical, and dental care. Dr. Binder and Dr. Starble have years of experience treating serious conditions and offering regular pet wellness care. Beyond first-rate pet care, we make our clinic comfortable, kid-friendly, and calm, so your pet can relax in the waiting room and look forward to meeting our Belmont veterinarians. We are happy to offer a number of resources that enable you to learn about how to take better care of your pets. Please feel free to browse our site, particularly the informational articles. The best veterinary care for animals is ongoing nutrition and problem prevention, so becoming knowledgeable about preventative pet care is essential to the ongoing success of your animal’s health. If you have any questions, call (617)-489-4482 or contact us and we'll promptly get back to you. Our Belmont veterinarian office is very easy to get to - just check out the map below! At Cushing Square Veterinary Clinic, we treat your pets like the valued family members they are. Our amazing board certified cardiologist. He has been part of our staff for over 5 years. He is passionate about cardiac care for our patients. In his spare time he enjoys playing music on his guitar and running. Owner of Cushing Square Veterinary Clinic, earned my degree from the University of Pennsylvania School of Veterinary medicine in 1995. I was raised in Belmont and graduated from Belmont High School in 1987. My parents still live in Belmont and drop by with staff snacks and to pat the stray kitties all the time! I have a special interest in soft tissue surgery and intensive medical care. I work with several amazing rescue groups in tge area including Legacy rescue, Cat Connection and Guardian Angels Cat Rescue. I live in Watertown with my husband Peter, our daughter Emma, our golden retriever Pixie and our cats Puffy and Goblin. In my free time i love to hike, swim, run and bake! I received my veterinary degree from Ross University school of veterinary medicine in 2005, which is located on the Caribbean island of St. Kitts and Nevis, then completed a small animal medicine and surgery internship in Chicago Illinois in June 2016. My first job out of school was at Danvers animal Hospital in Danvers mass, I worked there for 11 years as an associate veterinarian. I then joined the Cushing Square Vet family in March 2017. I also work closely with sweet paws rescue in Groveland mass taking care of stray and unwanted cats and dogs from Alabama and Mississippi. I live with a Yorkshire terrier named Liv and a feisty Chihuahua named Shane who will most likely greet you at the door, plus my three cats Mr. Kitty lefty and Falco. In my spare time I like to travel, go to country music concerts, camp and go to the beach in the summertime. I graduated in 2001 from Vermont to technical college with my associates in applied science in veterinary technology. Since then I have worked as a veterinary technician in large specialty practices and in general practices. I started work at Cushing Square Vet in 2016. In my spare time I enjoy hanging out with my seven-year-old son and our three-year-old beagle mix. We enjoy playing at the park, going to the movies and being around family and friends. 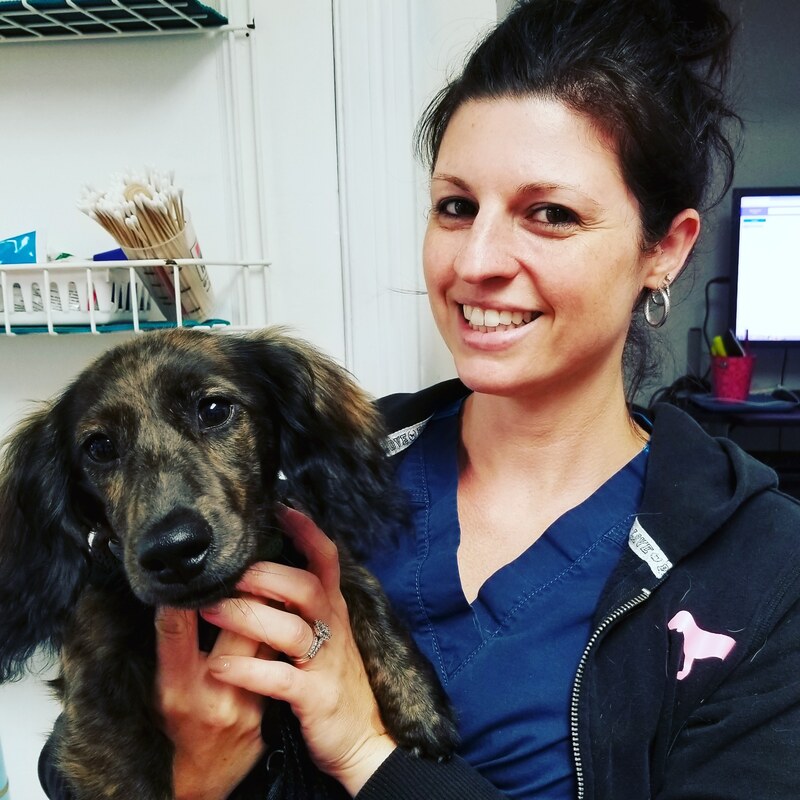 Jen is a certified veterinary nurse who received her training at Mount Ida College in 2012.She joined the Cushing Square Vet team with Dawn in 2013. She lives at home with the menagerie of pets including a cat dog two ducks three parrots and a sugar glider. In her free time she likes to paddleboard travel and hike the white mountains with her dog Nico. Cathy is our most dedicated volunteer! She comes in every day to give the cats their evening meals and some TLC. 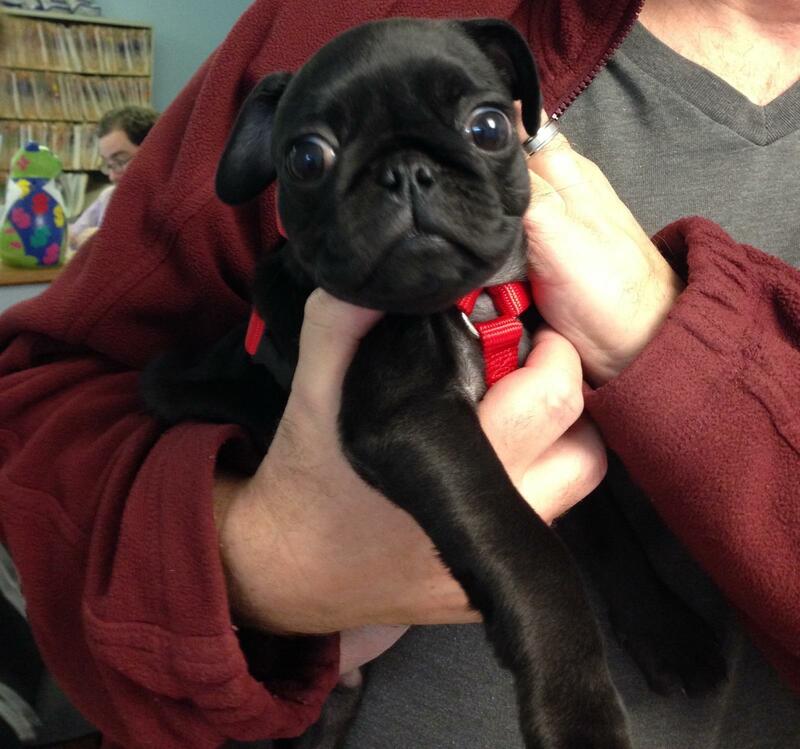 She also manages the Peeper’s Fund, which helps those in need afford necessary veterinary care. She always has a smile on her face, and is the cheerleader of our Clinic! She graduated from Clark University with with a bachelor of arts in physical anthropology in 2017. She is currently taking a pre-requisite for veterinary school. She has a special interest in animal behavior and nutrition. She also works part time running her own dog walking business. She loves all animals and has a dog,cat and a rabbit. In her free time She enjoys hiking playing soccer cooking and spending time with friends and family. I was born and raised in Belmont MA. After high school I continued my education and received my bachelors in applied sciences from Keene State College In 2013. While spending my years in NH, i rescued my now 5 years old boxer mix Ivey! 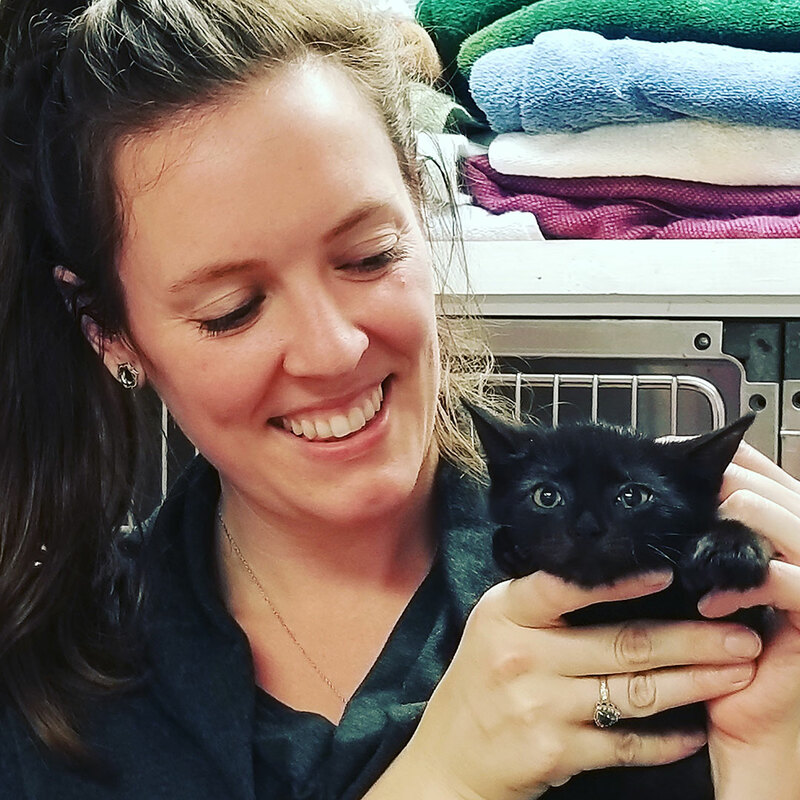 My career as a veterinary assistant began at Banfield Pet hospital 3 years ago, and this fall decided to join the team at Cushing Square Veterinary Clinic! Brad has been a dedicated and amazing member of our hospital family for 14 years! He graduated from UVM in 2003 and has worked with animals ever since. He loves dental cleaning and is especially interested in pet dental health. He lives with his 12 year old golden retriever, Jesse James. Awesome place for the all around care for your four-legged family member! Dr. Dawn is so very compassionate, and knowledgeable, while the other individuals in the practice are also always professional, supportive, and pleasant! You will not find a better place for the care of your pet, and support for your pet's human family! 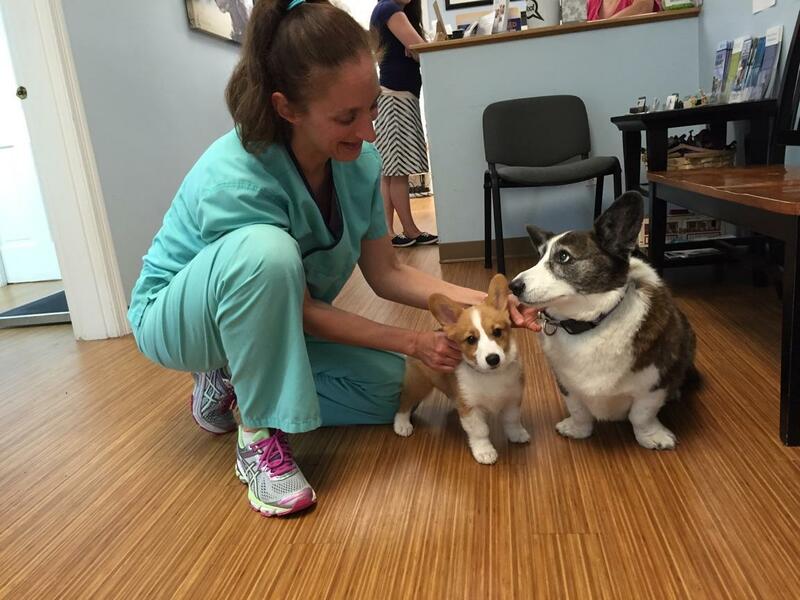 We love you, Dawn (and Cushing Square Veterinary Clinic)! I have brought my kitty, my dog, and two old pet rat ladies to Dr. Binder and they have all received EXCEPTIONAL care!! This is my favorite vet I’ve ever been to (which is saying a lot, I’m from a pet centric family! ), and I highly recommend the entire staff. I’m so happy to have found such a compassionate and unendingly kind veterinary clinic.